NYC, 02/25/2019, 6:15PM. 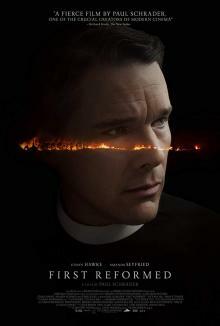 First Reformed (2017): Mystery drama of a pastor starring Ethan Hawke. Starring Ethan Hawke, Amanda Seyfried, Cedric the Entertainer. First Reformed has an Academy Award nomination for Best Screenplay. The film was chosen by both the National Board of Review and American Film Institute as one of the Top 10 Films of 2018.